I've done a little informal research amongst friends and colleagues regarding R& B artist, The Dream and what I've discovered is that people aren't recognizing that name but they know his work. As a singer-songwriter, The Dream is more well-known for his writing than his singing. Chances are you've heard Rihanna's Umbrella but you didn't know who wrote it. Or, you know Beyonce's Single Ladies (Put a Ring on It) but didn't realize that the song was written by The Dream. Well, now you know and you should also know that you can see this legend at Beauty Ballroom this Saturday. It's only been a couple of weeks since The Dream performed the headlining set at the Pitchfork SXSW showcase at Central Presbyterian Church but he is back. Tickets are still available but I have TWO pairs to give away. Like most of the contests I run, it's pretty simple. 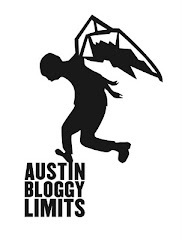 All you have to do is e-mail contest@austinbloggylimits.com with DREAM in the subject and your name with a reason why you want to go to the show in the body. A winner will be chosen at random on Thursday afternoon and notified by e-mail. If you're still on the fence about see Atlanta R&B artists, The Dream at Beauty Ballroom on Saturday, I suggest you check out his solo music on Spotify. If that doesn't encourage you to pick-up a ticket you can always enter my contest. If you're STILL not convinced, would it change your mind to know that singers all over the world would kill to be in the same room with The Dream? I mean, how many people can say they have worked with Rihanna, Beyonce, Usher, Mariah Carey, and Diddy? That's just a FEW of the artists he's written hits for. I'm getting excited about Saturday's show already if only because my 6-degrees of separation game will be kicked up a notch or two.